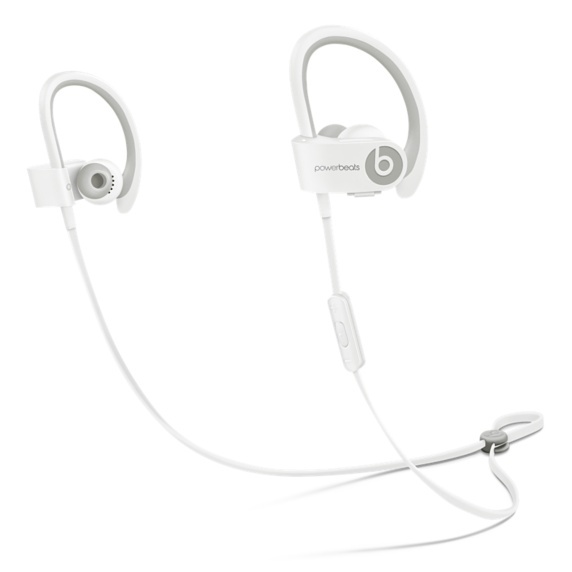 Anyway, I’ve been listening to some cools stuff…hopefully I’ll find the time to write about it. Oh, also, does anyone know how to get groundhogs to stay out of your garden/yard without actually killing or trapping them? They keep eating our vegetables and I’m tired of chasing them and I don’t have the stomach to kill them. If you have any suggestions, please tweet me (@phillipjspencer). Thanks! My friend and I are both music lovers, but the funny thing is we have almost the exact opposite taste in music. For almost ten years I’ve tried to understand what he likes to listen to, and I’m sure he’s been doing the same. We got to talking recently and thought perhaps the best way of understanding what the other likes would be to create a playlist of our favorite songs or songs that demonstrate our music taste the best. The caveat is the playlist has to be thirteen songs. So it’d be the length of a decent album. It’s quite exciting. The problem: I currently have eighty-seven songs in my playlist. And I can’t get rid of one song…they all feel so essential. So you can imagine how my evening is going. Being computer-less is odd. I mean, my phone still works, so I can still get the necessary things done – and when I say necessary, I mean checking in on Facebook and Twitter (even so, I do that less since I’m more of a fan of the desktop version of those platforms). But I haven’t checked my email in like two weeks, so I must have hundreds of missed messages by now. But in all honesty, 99% of it is usually spam, so I don’t think I’m missing much. And it’s great not to have to look at or delete some ads from Target about a deal I don’t care about. I’m probably going to be without a computer for another few weeks…I heard the new Mac is coming out at the end of this month. Why buy a computer this week when next week it will be obsolete? (I suppose the same will be true then, but at least I’ll have a solid six months of saying I have the latest Mac – as opposed to two weeks – before the another one comes along). I thought it would be hard to go a month without a computer, but it’s been quite easy. This is the point of the story where I go into having a transcendental experience and realizing the beauty of nature. While that is probably true, I’ve just really embraced watching tv on my phone and getting used to using the tiny keyboard. I’m joking (partly). Actually, being without a computer has given me more time to do things that I thought I didn’t have time to do. For instance, I’ve been writing songs since I was fifteen, and as I got older and had more obligations, I’ve had less time to pick up the guitar and write songs. Sure, I always keep a notebook on me to scribble out ideas thoughout my day, but it’s been a while since I wrote a complete song start to finish. And it’s really started making me get back into it and making me excited about making music again. So perhaps I am having a transcendental experience. Or I’m finally being able to find myself without being distracted by some update or alert. It’s kind of exciting. I do apologize for the lack updates, but as I said in the last update post, I can only do it when I borrow someone’s computer…so…I’m doing my best here. 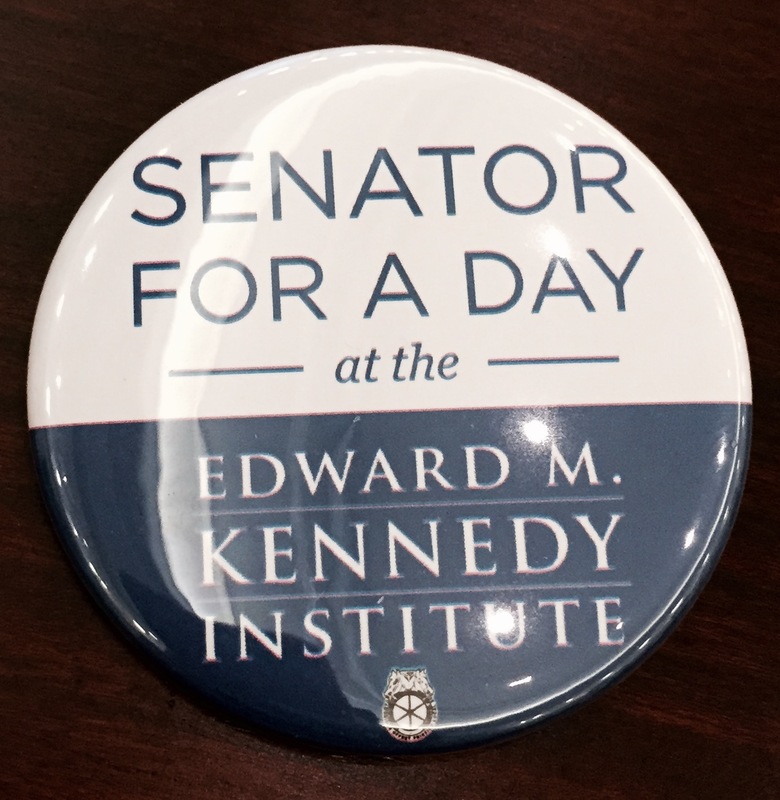 Today I went to the Edward M. Kennedy Institute, which is basically a museum in Boston in honor of the late Senator Ted Kennedy to educate the public about the Senate and how it runs, and I got to say I rather enjoyed it. The museum itself stands next to Kennedy’s brother’s Presidential Library, the JFK Library, and it has it’s own replica of the Senate chamber (which is so cool). When you walk in, they give you a button that reads “Senator-For-A-Day” and a tablet and send you to an “orientation,” which I thought was a little strange, but rather necessary. In your “orientation,” they give you a little background on the Senate (i.e. how it was formed) and they give you a tutorial on how to use your tablet within the exhibits. They always refer to you as “Senator,” which is kind of funny, and tell you to create a profile on your tablet. So you choose your political party and state you want to represent (I was Senator Spencer from Massachusetts, and thusly referred to myself as such for the rest of the day). As you go through the exhibits, you can use the tablet to vote in debates and act like a senator. While I learned a lot of this stuff in high school, I still found it enlightening and great for kids. There was one exhibit where you have to vote on your tablet with the people around you to pass a made-up law, the Ice Cream Sundae Act (which I was in full support of). The issue of debate was which two topping should be required in the amendments (I’m not making this up). I lobbied hard for peanut butter cups, which made it through along with gummy bears to be voted on by Congress. Congress came back with raisins and orange slices to be the toppings (I know, ew. Who put’s raisins on ice cream?) So we, the Senate, had to vote again. Gummy bears seemed to take the majority, so I voted against the bill because it left out my precious peanut butter cups (I love peanut butter and chocolate), and I like to think it was my vote that made the bill fail. My view from the Senate Chamber replica. It was so beautiful. The best part of this whole trip was the replica of the Senate. It was amazingly beautiful. 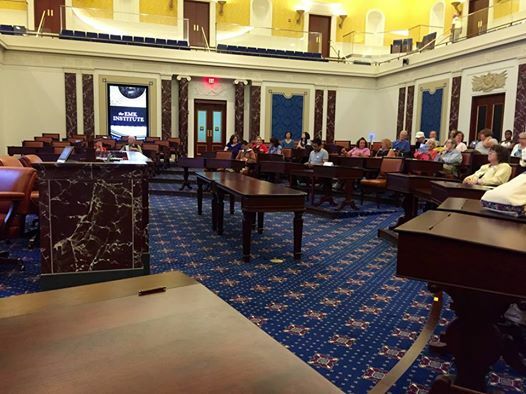 You get to sit in the chairs and pretend you’re a senator, and they hire actors to play real senators from history. Then they have an issue that the Senate is currently debating (ours was whether the police should wear body cameras), and they open it up to all the “senators” in the room, so you can stand up and pretend you’re an elected official. Some people really got into it, and were like “Thank you Mr. Speaker” and went into these really formal speeches. I mean, one guy was actually quoting Roosevelt and had statistics ready, and I was just sitting there taking selfies for my new Facebook profile. I know I may have come off a little dorky to find this history and politics stuff fun and “cool,” but you really don’t need to be a nerd to enjoy it. I mean, I must admit I wasn’t thrilled about the idea going to it mostly because I didn’t know what to expect. I just figured it would be another boring museum where you’d go and stare at things in cases and read little plaques (which I slightly enjoy, but find tiring sometimes). But the EMK Institute had my attention the whole time, and I wouldn’t mind going back.